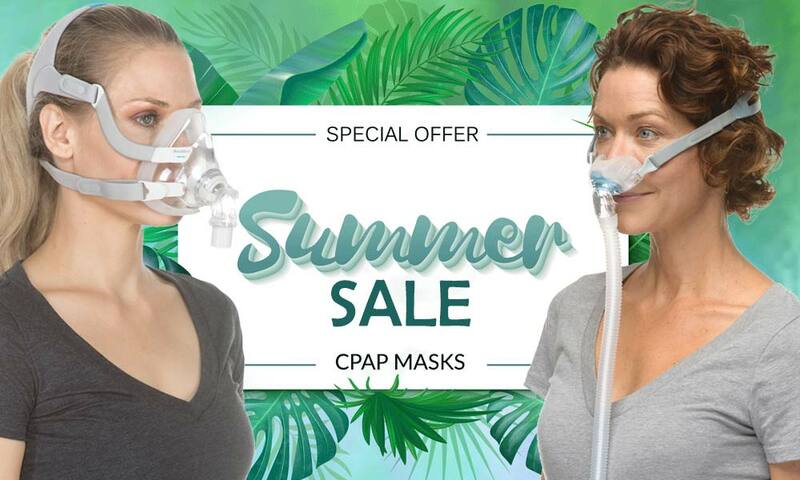 The Amara View Full Face Mask ($169, Free Two Day Shipping!) solves all of the most common mask problems. Thanks to its unique design, there’s no bulky cushion or annoying forehead bar in front of your eyes. That means no red marks in the morning! 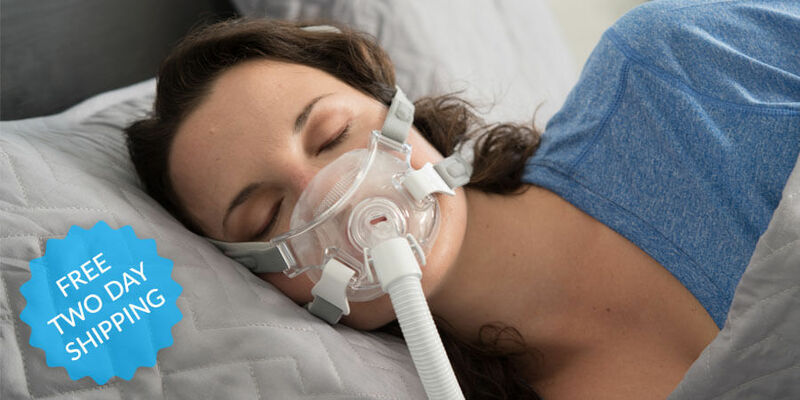 The Amara View is the only full face mask that doesn’t reach the bridge of the nose. It’s smaller, lighter, and has a wider field of vision than the leading full face masks. 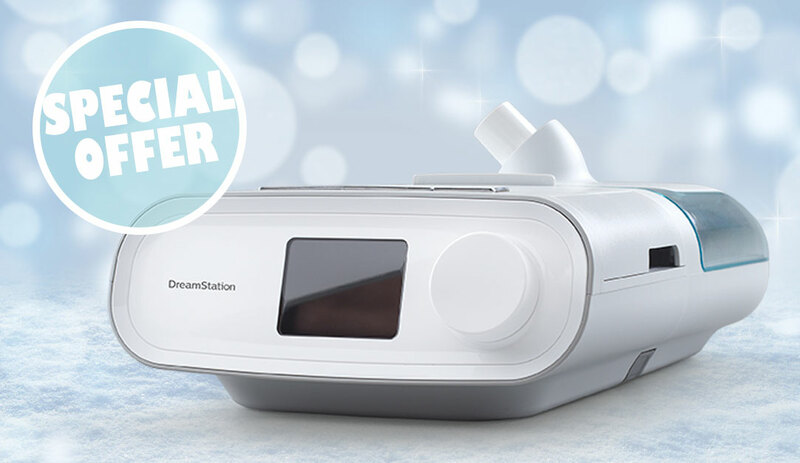 Finally, a CPAP mask that won’t interrupt your bedtime routine. You can wear your mask while you read or watch tv before bed. 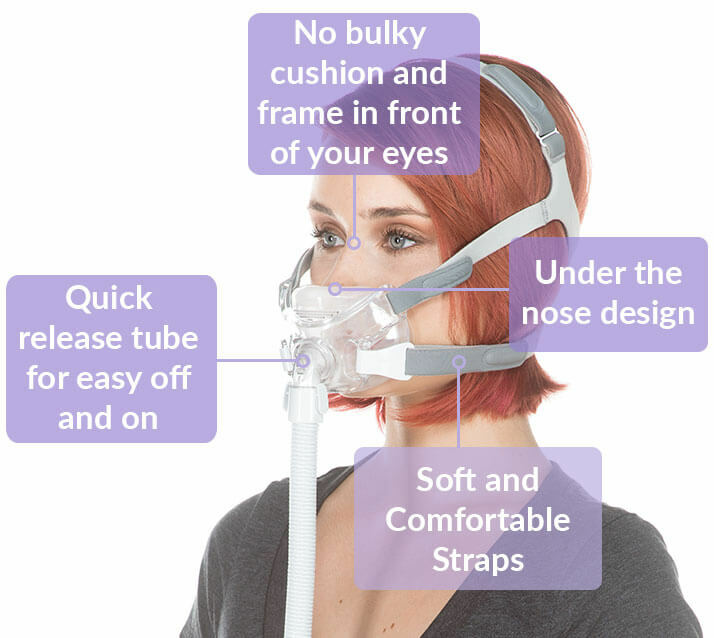 Use the coupon code FREETWODAY to get free two business day shipping with the Amara View Mask! 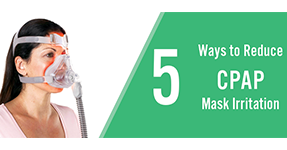 It is the perfect time to try this revolutionary full face mask system for yourself. You’ll love it and you’ll find yourself better rested and energized the next day with the Amara View. 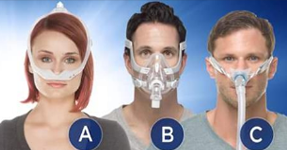 Not sure if the Amara View is the right mask for you? Try our Mask Finder Quiz and we’ll tell you in four questions! 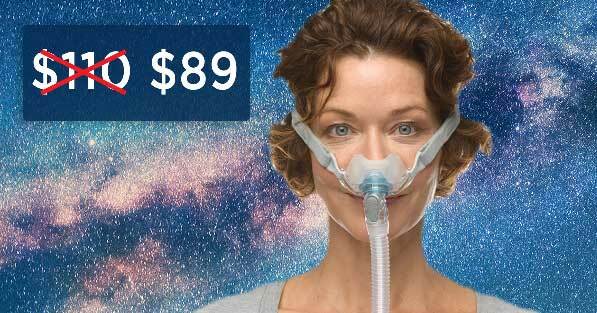 You can purchase the Amara View Mask even if you don’t have a prescription. To do so, CLICK HERE and choose add headgear from the dropdown menu. Why do Customers Love the Amara View? Comfort and no leaks is what I was looking for. And that’s exactly what I got with the Amara View mask. Easy to get a seal and less AHI episodes would be the improvements gained after changing to Amara View. I had used a different hybrid mask that had nasal pillows and covered the mouth. It was difficult to keep a seal with that one. Well pleased with Amara View. I’ve tried so many different masks that I couldn’t use because they made me claustrophobic. This mask has not and I’ve used my machine more in the past two weeks than I have in the past two years. I’d recommend it to anyone. Finally! This mask is very comfortable. It alleviates the pressure on the bridge of my nose. It doesn’t leave marks on my face. I’m thrilled that I found this mask and now look forward to a comfy nights sleep. I have been wrestling with having to sleep with a mask and have struggled for years, at the same time needing it desperately. So you can understand how grateful I really am! There’s no better time to try this revolutionary full face mask for yourself. 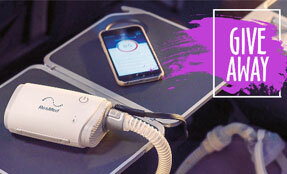 Enjoy all of the benefits of a full face mask without the clunkiness with the Amara View. 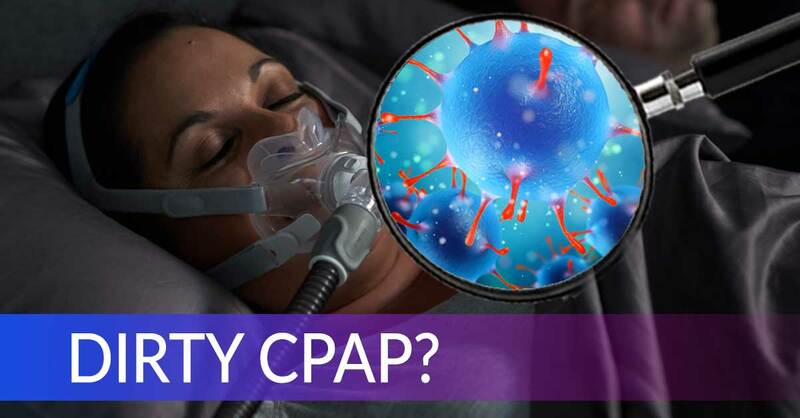 Next Post:Which CPAP Mask is Best for Me If I Have a Beard?